I spent the last week in Italy for Christmas. This meant eating a lot and running very little. 55k in total. I still managed to go out and run 3 times, but I took it easy as I was weighted down by the many panettoni and wine. On Monday I went for a run with Marco R. (my wife’s uncle and my running pen-friend). It was very cold and foggy (Torino is really grey in the winter). We did an easy 13km on the river Po and in the Valentino Park. It was good to run in the old places again after so many years. It was also a pleasure to run with Marco after talking about running together and giving each other tips for a year. As it was not enough I decided to do a quick 5km run by myself. It was also an excuse to go and check out my old house and neighbourhood. I ended up doing 5k at 4:02. Then it was time for more food and celebrations. On Wednesday I went out for an early run (again in the ice and fog). I did my former favourite loop, running on the river up to Sam Mauro and then back on the other side via the Colletta Park. I stopped at 20km (4:21 average). I have to sadly admit that running in Bushy and Richmond Park has spoiled me, they are unbeatable. It would be nice to go back to Torino once in a while and see some improvements. Sadly I have seen none and I am glad we left years ago. Then it was Christmas day. It was probably one of the best. As usual it was a massive lunch with 20+ relatives. It was good. 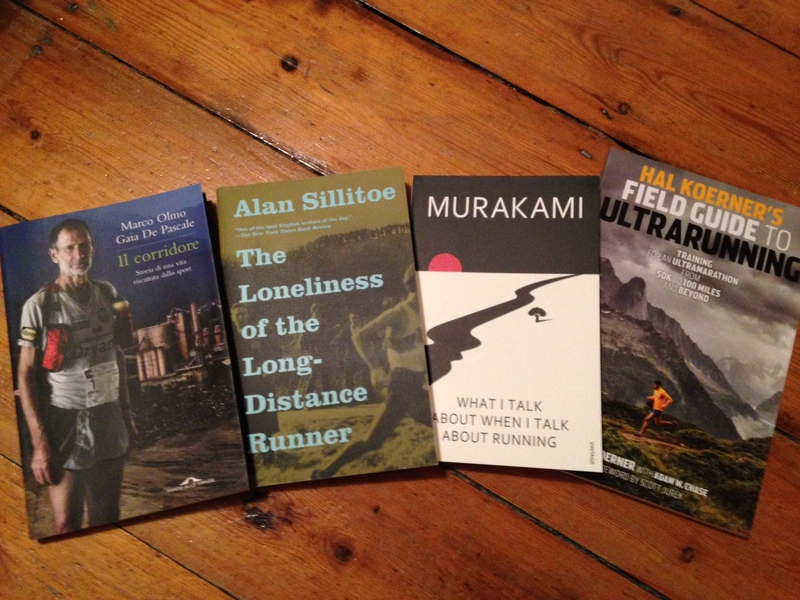 I also received a lot of running related presents. New kits and new books. I read Marco Olmo‘s book in a day, he is such an inspiration. Strangely there is no English wikipedia page about him. On Friday I went running with Marco R. again and this time we were joined by Marco O. (my wife’s brother). We did the same route as I did on Wednesday but without a bit at the end. 17km in total. We did not care about the speed as we spent most of the time chatting. It was a lot of fun as I never run with other people any more. In the evening I finally managed to go out for a pizza with my old friends Abba and Davide G. (@unknowndest). See you at the NDW50! Then the holiday in Italy was over. On Saturday we said the final goodbyes and and Sunday we flew back to London. Next week I am still on holiday and will run quite a lot. Then I will rest for a week, getting ready for my first marathon on the 10th!